Amul has transformed the way of doing dairy farming in India. It has helped in ending the exploitation of farmers and brought a significant social change in their life. 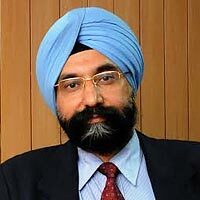 In an interaction with Rita G Chauhan, R S Sodhi, MD, Amul shares about Amul's growth journey and its future expansion plans. Share with us the success journey of Amul so far. How did it develop itself as a leading Indian dairy brand? The Gujarat Cooperative Milk Marketing Federation Ltd, (Amul) is the largest food products marketing organisation of India. It was founded by Shri Tribhuvandas Patel in 1946 in Anand, a small town in the state of Gujarat. Today it markets dairy products produced by the district milk unions in 51 dairy plants. The turnover of GCMMF (AMUL) during 2012-13 was Rs. 13735 crore. But, all this did not happen overnight. This was possible because of the vision of Shri Patel and the committed leadership of the Father of the White Revolution, Dr. Verghese Kurien who worked as a professional manager with Amul for couple of years. They have created an economic network that links more than 3.2 million village milk producers with millions of consumers in India. What is the secret of Amul’s success? How does Amul business model work? Amul is an institution created by the milk producers themselves to primarily safeguard their interest economically, socially as well as democratically. We create profit in order to distribute it to farmers through the district unions as well as the village societies. This circulation of capital with value addition within the structure eventually contributes to the development of the village community and the nation also. Basically, we follow a cooperative system that connects 17,000 Village Dairy Cooperative Societies (VDCS) at the village level, affiliated to 17 District Cooperative Milk Producers’ Unions at the District level and GCMMF at the State level. These cooperatives collect on an average 130 lakh liters of milk per day from their producer members who are farmers and landless labourers including a tribal folk and people belonging to different castes. Amul always presents high-quality products sold at reasonable prices. We celebrated the triumph of indigenous technology and emerged as the most successful dairy leader who follow cooperatives business model for the development of India. Which cities are you looking at for future expansion? We follow different business expansion models. Presently, we have our distribution network in all tier I and II cities of India. We are in the process of expanding our network to all tiers – III cities of India. What are the basic fundamentals you seek from your channel partners? Do you prefer to give distributorship/dealership to someone with prior experience in same field? Yes, we prefer to partner with a person who has prior work experience in same industry. We appoint those partners who have a long term vision in a territory, in a segment and/or in a product range. Right selection of the distributor is very important to achieve the objective of achieving market leadership in the territory. What kind of training & support do you provide to your channel partners? We organise induction programme for our channel partners which covers various aspects related to dairy industry. Apart from this, we are also constantly in touch with them regarding our annual target of volume and value of products and its SKUs.